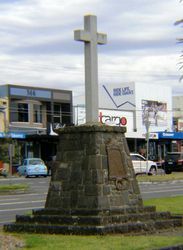 The monument commemorates those from Mordialloc district who died in service or were killed in action during World War One. Originally containing a flagstaff, the memorial now features a granite cross. 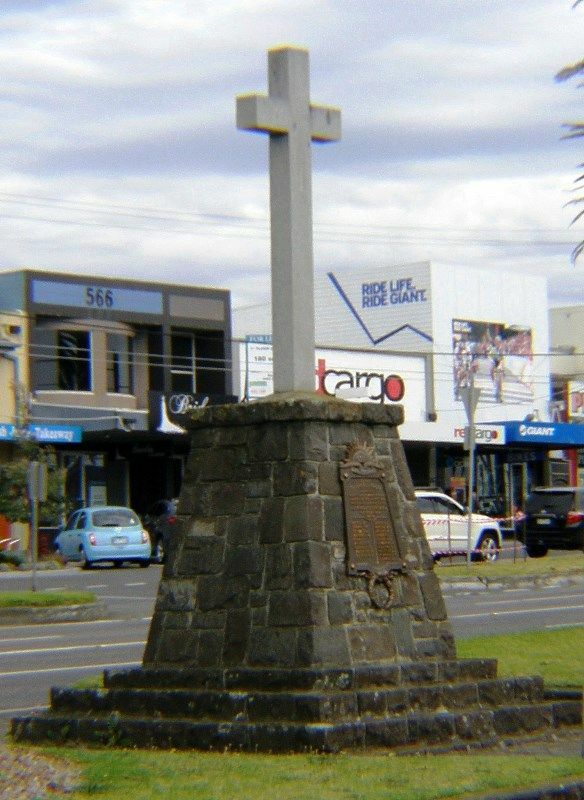 At Mordialloc in the presence of a large and representative gathering Brigadier General C. H. Brand, State commandant, on Sunday afternoon unveiled a memorial obelisk and flagstaff erected to the memory of the soldiers of the district who fell in the war. Mr. J A Boyd remarked that those whom they honoured had preserved the liberty and the heritage of Australia. The Rev. A. M. S. Wilson representing the churches of Mordialloc, expressed a hope that Australia would see to it that her fallen had not died in vain. Mr. A. E. Phillips, president of the Mordialloc branch of the Returned Sailors and Soldiers Imperial League of Australia returned thanks on behalf of his comrades to the trust and committee of the memorial fund. Upon the base of the memorial is inscribed the names of l8 men of the district who gave their lives. The Argus (Melbourne), 2 December 1919. As with a number of war memorials in Australia, there is an incorrect name listed. Walter Horace Forster is listed as Foster. 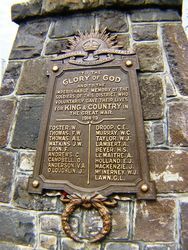 W.
To the glory of God and to the imperishable memory of the soldiers of this District who voluntarily gave their lives for King & Country in the Great War. Campbell. D. Holland. E. J.
O`Loughlin. J. McInerney. W. J.